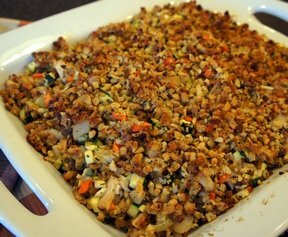 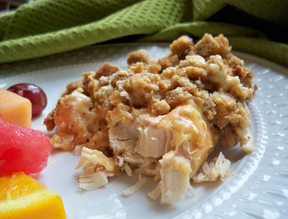 "I had some leftover turkey and used it in this casserole. 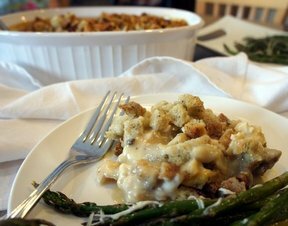 It was a great weeknight meal. 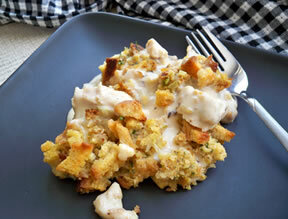 The soups make a gravy that soaks into some of the stuffing making it feel like Thanksgiving."